Mr. Mitman is the co-founder of Prism eSolutions and has over 30 years of experience in the quality and risk management industries. His technology and security expertise is key to the development of the Bellrock Intelligence platform for the healthcare sector. While he was CEO, Mr. Mitman was responsible for building the company’s consulting and web application services business through strategic partnerships, as well as by utilizing traditional training and consulting engagements. Additionally, he was responsible for developing relationships to deliver content to Prism’s equationASP™ platform and training services that enable clients to implement, manage and maintain quality, business continuity and security management systems, particularly pursuant to the family of ISO standards. He also founded Prism China, a wholly owned subsidiary in Beijing that serves companies with supply chain management, technology, and quality management needs in China and Taiwan. 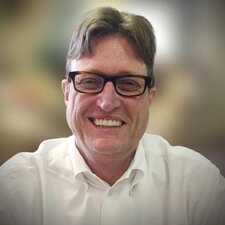 Mr. Mitman is the editor of BCM China, the leading publication for business continuity in Asia. Mr. Mitman has management experience ranging from Fortune 1000 companies to successfully launching startups and growing those businesses and managing their exit strategies. He was Vice President of the International Business Group at Viacom Simon and Schuster where he was involved in the first large scale digitization of the enormous content IP that the company owned. He has been called on to testify as an expert on issues pertaining to bio-terrorism, food defense and agro-terrorism at numerous congressional hearings. Mr. Mitman is the Chairman of the Board of Holt International and on the Advisory Board of the American Institute of Certified Public Accountants (AICPA). He collaborates with numerous private equity firms in New York on merger and acquisition transactions and acts as a strategic advisor for these companies on deals related to technology and compliance, particularly in the manufacturing sector.